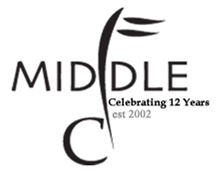 Middle C Music Celebrates 12 Years | Tenleytown, D.C.
Posted on March 22, 2014 by Tenleytown, D.C.
Join Middle C Music on Sunday, March 23 as it celebrates 12 years in Tenleytown. Starting at noon there will be live music performances, along with refreshments for all to enjoy. As an added treat, everything in the store is 12% off in honor of this special anniversary. The celebration runs from noon until 5:00 p.m. Middle C Music is located at 4350 Wisconsin Avenue, NW.